The month of December means several things – family reunions, winter treats like peppermint and eggnog, and holiday traditions. One of our favorite traditions during the winter is hosting a holiday movie night with our family members and neighbors. Keep in mind, there’s so much more to movie night than just picking a good holiday movie – so we’ve put together this list of tips and ideas to ensure you’ll have THE holiday movie night of the season! While it’s not the only important factor, picking the right movie for your crowd is a delicate art. Do you go with a classic film that tugs at the heart strings and appeals to an audience of all ages? Or do you go with an animated flick the little ones will love giving the adults time to snack and schmooze? Celebrations.com has cut your work in half by putting together a definitive list of the top 10 Christmas movies of all time – are your favorites in the list? If not, let us know in the comments what movie YOU would add or get rid of! Decorate in loud, vibrant colors that will entice both the young and the young at heart. Get inspired with these holiday and Christmas decorating ideas from Celebrations.com – from DIY ideas to color inspiration, you’ll find the tools you need to take your event to the next level. Alternatively, you can keep it simple by adding subtle, sporadic elements inspired by the chosen movie. Playing a movie with Santa or Rudolf? Whip up a simple DIY Reindeer Wreath like the one pictured above! Keep your guests fueled for the night’s antics with the age-old movie night snack pairing: popcorn. Of course, you know just where to turn to for your movie night popcorn needs! If it’s just family, grab a few popcorn scoopers and place your favorite popcorn tin in the center for all to enjoy. If your movie night has been extended to include friends and neighbors, serve them in fun ways such as in cocktail glasses or cellophane bags with a fun tag attached! How can you take your holiday movie night above and beyond? With activities paired with your movie pick! We love this roundup of 12 family activities paired with classic Christmas flicks from Celebrations.com. Will you play pranks like Kevin McCallister or celebrate Ralphie Parker’s infamous bunny suit by snacking out of bunny cups? The possibilities are endless! What elements will you incorporate into your holiday movie night? Let us know in the comments! Take your Christmas desserts setup to the next level by serving them with the “coolest” sip around: Snow Cold DIY Milk Bottle Snowmen! 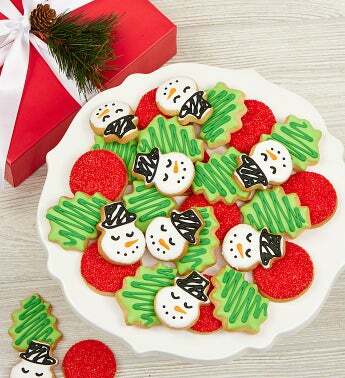 This quick craft will add a festive touch to any food or drink display – make these in the beginning of December and use them all season long! 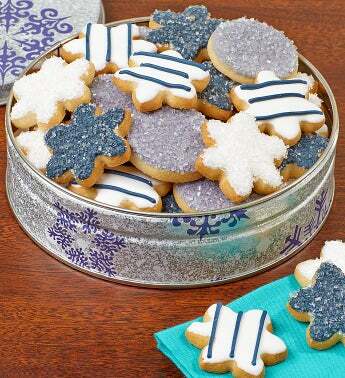 Now it’s time to chill out (pun intended) and eat some sweet treats! 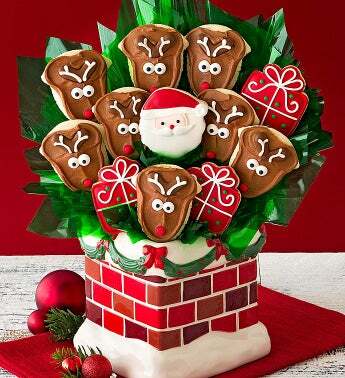 Get the full idea at Celebrations.com Looking for some festive sweet treats? Check out some of our favorites! December 1st is finally here, and you know what that means – time to start counting down to Christmas! Celebrations.com shared this easy DIY advent calendar using items you more than likely already have around the home. What will you fill your advent calendar with? Let us know in the comments! The time’s come to celebrate the unsung heroes of every successful business: Administrative Professionals Day 2014 is Wednesday, April 23! Although they often work in the background, secretaries, receptionists and other administrative support professionals who keep businesses running smoothly from day to day. If you know a co-worker who always goes above and beyond, give them the big thank-you they deserve with these Administrative Professionals Day gift ideas from The Popcorn Factory! These cool, classic tins and gift towers come packed with heaps of snacks that any hungry man would love. With piles of absolutely scrumptious rainbow sandwich cookies, gourmet pretzels, chocolate chip cookies, foil-wrapped chocolates, sour fruit chews, jelly beans, mindblowing popcorn flavors and more, these are the perfect gifts for the guys who keep the show running at the office each and every day. Do you have any terrific co-workers or employees that you’d like to honor on Administrative Professionals Day? Tell us all about them! Happy National Sibling Day! Every year on April 10, we celebrate our best lifelong friends: our brothers and sisters! All the best memories we share with our siblings start at childhood. So help your little ones create an unforgettable bond with these great National Siblings Day activities for kids. Give your kids one-on-one time to laugh, talk and play over some great food and snacks. Have them work together to fill up a picnic basket with sandwiches, popcorn, cookies, pretzels and any other snack foods they love. Set out a comfy blanket on the living room floor with some toys, pop a movie in the DVD player and let them dig in! They’ll be so excited to have their own private party, and they’ll create memories that will stay with them long after they’ve grown up. Instead of having your little ones exchange store-bought presents, show them how to make handmade and heartfelt gifts they can exchange with each other. Help them draw their own National Siblings Day cards and tell them to write what they love most about their brother or sister. You can also get crafty with them and create some popcorn hearts that they can swap along with their cards. Every kid should have some great pictures with their brother or sister. What better day to have a sibling photo shoot than today? Don’t worry; you don’t have to go to a professional to get great shots. Make it fun by setting up your own mini studio at home: You can hang up a sheet or tablecloth on the wall for an instant backdrop. Have your kids pick out their favorite outfits or costumes, give them a few cute photo props (like fake mustaches or jewelry), and tell them to strike a pose for the camera together. The sillier they are, the better the pictures will be! At the end of the day, they won’t just be smiling; they’ll also have lots of keepsake photos that’ll make them laugh for years to come. Kids love to talk about their favorite things, so why not turn it into a fun game that’ll teach them how to share with their siblings? Tell each child to draw pictures of their toys and stuffed animals—without looking at their siblings’ drawings. Drop the drawings into a bucket and mix them up. Then, have each child pick a random drawing from the bucket and guess who drew it. After the game is done, tell the kids to take out the toys that they drew, exchange them with one another and explain why they love those toys. They’ll have a blast seeing the toys through their siblings’ eyes, and it’ll kickstart hours of fun sibling playtime! No one knows you better than your sibling, and that close connection starts during childhood. You can help build that bond between your kids by playing an exciting game of sibling trivia. Have them sit in a circle and take turns saying two things about themselves that are true and one thing that is false. They can talk about anything: their favorite TV show, color, food, sport … the list goes on and on. Their siblings then have to try to guess which statement was false. When the game is over, they’ll learn so much about each other that they won’t just be siblings anymore—they’ll be best friends too! What other kinds of activities will you be enjoying with your kids on National Siblings Day? Valentine’s Day is slowly sneaking up on us, so that means it’s time to have some crafty fun with the snack that makes everyone’s heart beat fast with excitement! Whether you give it away as a cute alternative to the typical box of chocolates or use it to decorate your house with some love, this popcorn heart will be your favorite DIY project for V-Day. Why? Because kids and adults of all ages can have a ball making it, and it only requires two simple materials: popcorn and floral wire. So go ahead; make some adorable popcorn hearts of your own and put your ticker on display! Depending on how big or small you want to make your popcorn heart, cut two even pieces of floral wire to the length of your choice. String the Valentine Kettle Corn onto both pieces of floral wire, leaving a couple of inches of exposed wire on each end. You can string the popcorn in any pattern you like. Try red and white; all red; or all white. You can even make all three! Bend each piece of popcorn-threaded wire so that it looks like a half of a heart. Tightly twist together the two exposed pieces of wire at the top of the heart to connect the two halves. Do the same with the exposed wire at the bottom of the heart. Stick one piece of popcorn onto each twisted end to cover up the exposed wire, and make your final adjustments to the heart shape. If your popcorn heart is only going to be used for décor—not for snacking—give it a little bit of romantic bling by spraying it with glitter. Hang it on your wall to make some dreamy V-Day art, or wrap it in cellophane and tie it with a lovely ribbon or bow to create a one-of-a-kind Valentine’s Day gift. Who will you give your beloved popcorn heart to this Valentine’s Day? Fun Facts to Celebrate National Cheese Lover’s Day! No one really knows when cheese was first made. Some say that cheese-making first started in 8,000 B.C., when the tribes in Central Asia stored milk in animal skins during their travels. Popular belief has it that the bacteria in the animal skins caused the milk to form the first cheese curds. Scientists have found what they believe to be the remains of cheese buried in 4,000-year-old Egyptian tombs. Archaeologists have also discovered ancient Egyptian murals depicting the cheese-making process, which date back to 2,000 B.C. Many ancient Roman homes featured a separate kitchen that was solely used to make cheese. In the 17th century, people thought that eating cheese would make you, er, less intelligent. The nickname “big cheese” was first used to refer to people who could afford to buy a wheel of cheese. More than 900 types of cheese exist in the world today. Americans eat about 31 pounds of cheese a year each, but they’re not even close to holding the world record. The Greeks consume the most cheese on a yearly basis: almost 60 pounds per person! The U.S. does produce the most cheese in the world, though, and most of it comes from Wisconsin and California. Wisconsinproduces about 2 billion pounds of cheese per year, and it’s the home of 126 cheese plants. Ten pounds of milk are needed to make 1 pound of cheese. The world’s largest piece of cheese was made in Quebec, Canada, in 1995. It weighed in at more than 57,000 pounds, and more than 540,000 pounds of milk were used to make it. Eating certain types of cheese—such as cheddar, Swiss, bleu and others—right after a meal is said to help prevent tooth decay and help you sleep. What kind of velvety cheese will you be munching on to celebrate National Cheese Lover’s Day? Using a hot glue gun, carefully glue the popcorn onto the Styrofoam wreath, piece by piece. Keep the kernels close together, and use the small pieces of broken popcorn to fill in the gaps. You can mix up the red and green kernels like we did here, or you can separate the colors to create a striped pattern on the wreath. Whatever you do, don’t burn yourself! Allow the wreath to dry completely. When it’s ready, loop a Christmas ribbon through the top of the wreath and tie it into a bow. Give your wreath a touch of winter wonder by spraying it with glitter. Then, hang it on your door, above your fireplace or on your window. For even more ideas on how to decorate your house with a wreath, check out this fun blog from 1-800-Flowers.com! Ho, ho, ho! Now good old Saint Nick can be greeted with a beautiful Christmas wreath when he slides down your chimney! 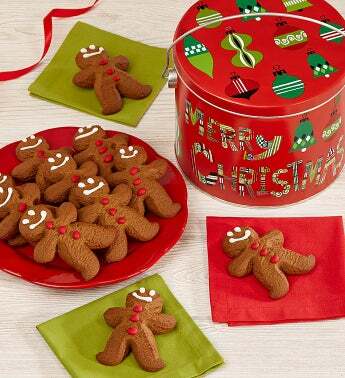 What other kinds of nifty crafts will you be making with your holiday popcorn this Christmas?